Delcam is pleased to announce that the company recently added its 2,500th customer in China. The company ordered recently multiple copies of Delcam’s PowerSHAPE CAD software and Delcam PowerMILL CAM system. Carbon and graphite specialists Erodex (UK) Limited are aiming to transform the market for furnace jigs, fixtures and baskets by introducing a new range of affordable, high strength CFC charging solutions for vacuum furnace operators. The University of Leicester will create its Advanced Structural Dynamics Evaluation Centre (ASDEC), at the 1.75 million sq. ft. Enterprise Zone site near Hinckley. The centre will enable the University to offer the UK’s first commercially available 3D laser structural dynamics vibration testing and analysis centre for the automotive, aerospace and space industries. Fifteen MAA members joined with thirty from elswhere in the UK to meet with leading Russian aerospace companies in Coventry. The event was organised by UK Trade and Investment, ADS and the MAA. The MAA also helped the Russian companies visit Meggitt Polymers and Composites Ltd in Leicestershire. Midlands Aerospace Alliance members joined MAA chief executive Dr Andrew Mair to open new links to Europe at the second TransNetAero event for European aerospace suppliers, hosted by the Normandie Aerospace Cluster and CESI (Centre des études supérieures industrielles) in Rouen, France. 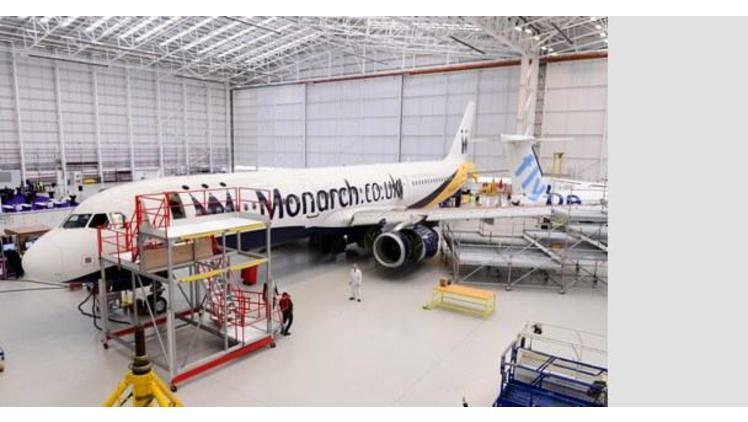 Monarch Aircraft Engineering Limited (MAEL), the award winning independent aircraft maintenance provider and division of The Monarch Group, has announced the official opening by Sir Roy McNulty, Non-Executive Director, Monarch Holdings Limited, of a brand new multi-million pound maintenance hangar at Birmingham Airport. The facility, which is immediately creating 150 new jobs, also has the potential to add a further 150 posts. Expanding Birmingham-based manufacturer Dunlop Aircraft Tyres will complete a £4 million factory investment programme when it switches on another new production machine that will further improve efficiency and increase capacity. Tekdata Interconnections is delighted to announce the appointment of Steve Lawson to the role of Managing Director. With over 30 years' experience in the Engineering sector, Steve's profile includes 10 years at BICC Burndy, where he started out as an apprentice before joining CCS Electronics in 1988 as Works Manager, progressing through to General Manager.